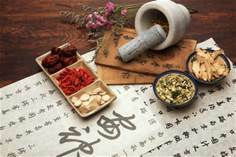 Chinese herbal medicine is one of the primary modalities within the scope of Traditional Chinese Medicine. It utilizes roots, stems, bark, leaves or flowers of many plants, as well as some minerals and animal products. The herbs are typically put together as a balanced formulation to treat the individual patient’s symptoms.